When out riding you want to make sure that you are seen by other riders. Mounting a flag to your machine gives other riders knowledge that you are on the dune hill, on the track or trail. Flags come in all different styles and designs. So get out and ride and have some fun, but make sure that you have the right safety tools like your flag. 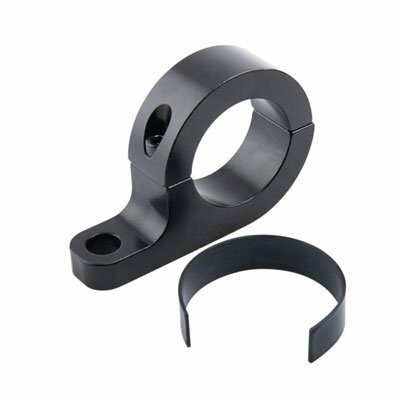 Black anodized.For mounting a safety flag on a horizontal roll cage bar. 1 ½"-1 5/8" - Fits Pioneer 500, Tusk Rear rack, and other machines with a 1.5"-1.63" O.D. roll bar. 1 3/4"-1 7/8" - Fits Rhino, RZR, Teryx, and other machines with a 1-3/4" - 1-7/8" roll bar. 2" - Fits Can-Am Commander and other machines with a 2 inch O.D. roll bar.